I’ve heard such great things about Britax car seats. This would be perfect for my toddler. Thanks for the chance to win one! Would love to win this for my friend who’s due soon! I was just lamenting about how annoying car seats are!!! So simple…I love it, also the safety and comfort features! Thank you! I was just looking at convertible carseats for my babe last night! I saw the clicktight series and loved everything about them… until I saw the price. :/ This would be so great for us! Thank you for this opportunity! The clicktight install is so awesome!!! But, I really love that they’ve changed their 1″ rule from the top of the outer shell…to the top of the headrest! The former rule, really cut our extended rear facing short!!! We have always been fans of Britax car seats and used them for our two girls. With a new baby on the way, we would love a new car seat for our little man. I’d love to win this for a good friend expecting! Britax is such a good brand. I am due in November and could definitely use one. I absolutely love the ClickTights! I think the Click Tight technology is great! The easier it is for parents to install, the safer babies will be. What an awesome giveaway. I am a CPST, I also have back issues and neck issues and weak hands. This seat is a dream seat for me. So easy to use and install. We could really use this car seat for my little girl! I would be SO excited to give my brother this car seat if I won. I love britax products! We’re a britax family, we love britax, we had an infant car seat and and a convertible one, we’d love a new seat! I always had loved the idea of a Britax clicktight. Would love this for #2! Thank you for this givewaway! My son needs a new seat and this would be a great transition for him. Just about bruise my hands every time I re-install out car seats. Love how easy this one looks to use!! I would love to have such a safe and easy car seat for my little guy! I am going to be a first time mom and several of the car seats I’ve come across seem so complicated to install! This Britax car seat looks so simple and quick to install, and best of all will keep my son’s safety a priority. I would love to win this giveaway!! We just got the Boulevard and so far I love it. Would love to have the Marathon for the other car and the grandparents. My daughter needs a new car seat. I have wanted a Britax for a long time; I would love to win this! Love the clicktight technology! This would be perfect for my baby! baby #3 is going to outgrow the carrier soon, which means we need marathon #3! We love Britax! We have two car seats and a stroller and would love another car seat! My babe will be outgrowing his infant car seat soon and we will need a new car seat. A Britax would be awesome! i really need another carseat for our second car but dont know how to pay for it! This would be great for the three little ones we have. Britax makes a great car seat. I was just in a horrific accident and luckily my kids were not in the car but it got me thinking about their car seats. Accidents happen unexpectedly and I want to make sure that if my kids are in the car with me that they are protected. I have been doing some research and I like what I am seeing with Britax and it really makes me feel like my kids would be safe which is exactly why I want to win this. I was so confused about buying a car seat for my toddler,Glad to see the review,I liked the clicktight install thing.Will definitely go for this one. This is an awesome giveaway! We love Britax, they make the best car seats! I just found out I am pregnant and would love to win. My 2 1/2 year old would LOVE a Britax car seat! We have a far less superior brand currently and an update to Britax would be amazing! 🙂 I have admired the Britax carseats in stores!! I love how easy this is! Great for car seat transfers! I would love to win this for my baby boy who is ready for the next step convertiable car seat and Britax make one of the best and safest bar seat around. I am also due July 27th with our second. THank you for the chance! This looks awesome! I fight with my daughter’s car seat every time it is time to install. I love that this would be easy for grandparent/babysitters to use too. Car seats are so complicated and drive me crazy! I’m expecting a baby in July and this seat looks easier to use! I really like this car seat and that installing it correctly every time is a breeze. I love how easy the clicktight makes this to install! I’d love to win for our little one who is just 5 days old now. This looks amazing! Planning on a new one soon so this would help a lot in not eating our pockets! Britax makes such great products, and this looks like another great one. I really like the clicktight feature. I feel like we went though quite a few car seats with my son so this idea is genius to me! I feel so much better when my babies are in a Britax seat. I love Britax and will all the driving I do, I am happy to say I know in their seats they are safe. Its the #1 thing I can control while driving. My in-laws recommanded Britax and we can’t wait to purchase Britax for our baby girl when she’s born in July, 2015! We love Britax, it’s the only car seat we trust for every baby to big kid in our family. Would love to win this seat! thank you for the giveaway. i’d love to win this for my son. We love Britax soooooooooooooooooooo much!! I have been using Britax for almost 10 years! I would love to win this for my youngest! This looks pretty cool- I had no idea car seats were this involved. This would be amazing to win! Love how easy it is to install. We love Britax and their Click Tight Technology makes it so easy to install. i haven’t tried one but these are supposed to be some of the best car seats out there. Ty so much for the great giveaway! My daughter has 2 Britax seats already. I plan on getting 2 more for our baby son. This seat looks quite comfortable and safe! This looks like a great car seat! This would be awesome for my little boy born in January!! Love this seat and love click tight!! I would love to have this for when my daughter outgrows her current infant seat. Hope I can win this for my sister! Win this or have to buy it, I am getting one. Would absolutely love to win this.! Looks like a very carefully built safety seat for kids. Appears to be made from durable, good quality materials. I hope I can win this for my kid. 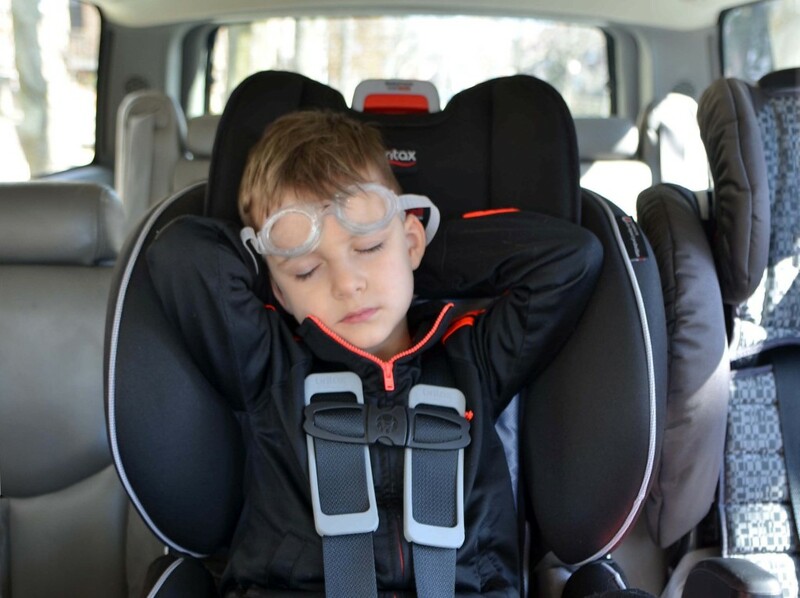 Loving the overall style of this car seat, and the features are awesome, especially the high-density comfort foam and the Click Tight installation system. The quick-adjust, 12-position harness and two-position buckle allow you to easily move the harness upward and buckle outward for a comfortable, secure fit as your child grows. The child grows fast. Besides all the safety features, I love the easy install. You don’t know how many times I got so frustrated trying to install a car seat only to not feel like I did it right and then going to one of the car seat safety demos to have them make sure I did it properly. I love all the safety features of this seat and that it exceeds federal safety requirements! This is an amazing seat! I have just started shopping for a convertible car seat and since we already have the Britax B-Safe infant car seat and love it – this was the convertible car seat I was looking at. Thanks for the great giveaway! I would like to win this. The seat looks so comfy. As a new grandmother I would love this car seat I have been looking to buy one for my car so we don’t have to switch it out. This looks perfect thanks for the chance. I would love to win this seat! I love that it doesn’t take much time for this seat to be secured into a vehicle in seconds. Britax not only delivers a good quality seat but a SAFE seat! Looks great! We definitely need to think about a new car seat for our son. My favorite feature is the 12 position harness. We need a good quality car seat for our little dude. He has quickly started to outgrow his infant seat and will be ready for a convertible seat soon. Britax is a brand I trust and am willing to shell out for. This would certainly be an upgrade from my current carseat. I would love to win this for my son. It would be awesome. the seat we have is getting too small. Expecting my first in October and I’ve been looking at Britax seats, they look wonderful! I’m impressed! How nice this looks. Not only for safety, but for the ease of use, indeed. I need some new seats. I have SO many grandkids and I need several different types of seats, this one is a lot safer than the one I have now… the side impact guards! I would love this. I love how easy these are to install. I would love to have a second one for nanas car! fingers crossed on this win! Awesome car seat! I would love to win it! I love the look of this car seat. It has plenty of padding to keep the child comfortable. I love that it is so easy to install in the car. I am constantly struggling to get the car seats in correctly. I want this for a shower gift. I love all the features on this car seat & think it would be perfect for my youngest! I’ve read great things about Britax and the new Click tight. It would be great to win this for our first car seat! We are in the market for a new carseat, and I’m really interested in a britax. I love the Britax brand and would love to give this as a gift. I love britax carseats! This would be perfect for my son! Love the cute designs too! I’ve only heard great things about this brand (BRITAX) and it would be wonderful to win this seeing as we just found out we are pregnant with our second child. My 15 month old baby still needs their seat so this would be amazing! Love how modern and comfy this seat looks. Also love the idea of the Memory Foam…meaning my little one will sure be comfortable and happy in the car. Wow, I like that car seat! I like the safety features and the way the headrest part sort of wraps around. Love all of the new, fun features. Perfect for my 14 month old! I would love to win this for my sister! I’ve heard so many great things about Britax! I would give it to my daughter. She needs a good carseat. We seriously need one of these! Comfort is so important for our little ones. I can see that this seat is well made. My son has almost outgrown his infant car seat! He’s growing so fast! Would love a new car seat for my daughter. She is currently borrowing a friends seat until we are able to get one. This is AMAZING! I would so love would a Britax car seat the one we have is very used and passed down it would be so wonderful to know my grandson is safe with I terrific car seat such as this. Please pick my grandson as the winner thanks for the chance. I really need a car seat so I can take my new grandkids around town and show him off. I will have a new grand daughter soon, this would make a great gift. Would love to have my own Britax car seat for my Granddaughter! this car seat would be perfect for my family! I love it! This is an awesome car seat. It seems comfortable, easy to use and very safe. I would love to win this fof my baby. He needs a big boy car seat now!! I’d love to win this seat for my youngest child. We love Britax products! I think my new niece will be very comfortable in that car seat! I’m about to become a grandpa next month!! We could really use this car seat. I like it because of the safety features. We have one of these and love it! We would love a second one for brother! This would be perfect for my toddler. Thanks for the chance to win one! Wish to win it for my grand daughter. I’m sold after hearing it’s easy to install! Our current seat is so hard, it takes both of us to install it and I have to kneel in it- I drive a tiny var. Good times. So excited to get a car seat that grows with the child! I love Britax products. Their car seats are the best. I have always been impressed with the quality of Britax products! I don’t want to use anything else for my little one! The SafeCell Impact Protection technology sounds great. I love playing your sweepstakes I am really excited about this one. My baby is growing so fast he will be needing to upgrade soon. Thank you so much for the chance to play. Sending you lots of loving energy your way Muah! I would love to win this for my granddaughter to keep in my car. So many places I want to take her! Would love to win this for my nephew! looks like a really nice item! i will soon have 3 kids in car seats…yikes! This would be perfect for my grandson. His mama is in college and has limited funds, but wants to best quality and safest thing she can get for him. Winning this would allow that for them. We just found out our son and daughter in law are pregnant! This would be a great gift for them! This car seat looks so simple to use. I would love to win this as we have three vehicles and can only take my car because it’s too much of a hassle to uninstall our convertible seat every time. Would love to win this!! Haven’t gotten to try the click tight yet!! What an amazing giveaway!! I have been researching car seats and have found Britax to be one of the best brands out there. I love how easy it looks and making sure my little guy is safe is the most important thing to me! Thanks for the chance!! Fingers crossed!! Would love this for when my newest granddaughter outgrows her infant carseat. My best friend Aaron is having a baby July 3 and this would be there perfect gift for their new family. I like all the little extras Britax puts into their products like the cup holder, memory foam and easy installation button. I would love this for my toddler! Especially as I just found out that I’m expecting another in November! What a great car seat this is. “Easy to install” is what gets me as well as the claim that it exceeds standards for safety. Plus it looks comfortable. Great giveaway. I like the 12 position harness and the memory foam in the seat and head restraint. I have a 3 year old daughter that would love to have this car seat! She can’t stay still for over a a couple of minutes. This is a great giveaway. I have been looking through car seats and I definitely love Britax. They look great! Love the safety reviews… thanks for this awesome giveaway! Click Tight technology is great for the safety of your child!!! Mu cousin is pregnant and I will give this to her If I win. I’m 4 months pregnant and I would love to have a car site like this it look easy to use and I don’t have to buy another one when the baby get older. I love our Britax and, now that we are a two-car family (and a soon-to-be three child family), transferring carseats is a MUST! I have heard great things about Britax! My little girl is needing a larger carseat! Safety is so important and this giveaway is amazing! I know when my 5 and 6 year old were younger I made some mistakes as far as car seat safety when I look back at pictures I think to myself I should have known better. Having twins in July and knowing more about car seat safety makes me feel so much better! Thank you for the chance! Son! It looks safe and comfy. Thank you for the chance to enter! We love our Britax stroller and would love this car seat. The style and look are excellent and sounds like a great one for our little one. I’ve been researching car seats for my little one on the way and have not been happy until I saw the clicktight. I love it and winning it would only make it that much better! What a super useful giveaway! Thank you. My son was in a britax chaperone. it was wonderful. with baby #4 coming i’d love for him/her to be as safe as big brother was. This looks like a great car seat for the grandkids. Granddaughter has a Britax and it’s the best child seat ever. Would love this one for grandson. Would love to win! The fact this car seat can be used rear-facing 5 to 40 pounds is amazing! This would be a perfect win I have 2 sisters and they are both preggo right now- 5 weeks apart! This would be great for my daughter who is transitioning to a bigger chair. I love the Britax brand. I would love this carseat for my new little guy. Britax is a great brand. We would love to have this seat ready! I loved Britax for my kids and would love to have one to keep in my car for my 2-year old niece. I love my britax stroller. Great products! This would be great, my cousin just had a baby a few weeks ago and she needs a good car seat. It would be great to be able to give this to her. Thanks for the giveaway! I’ve heard great things about Britax. Britax is my favorite brand of car seats. But ours are pretty old school! This car seat looks awesome! i love the features and the safety that it provides! I would love to have a safer car seat. I think ours is too cheap, and getting too small for our big baby. Wow, I love how easy this is to install. I also like knowing you have a four yr old in it. Glad that it grows! This is a terrific car seat. Really like how it’s easy to install. I’m a grandma and don’t have my own seat — I have a hard time getting them installed properly so the kids have to do it for me. If I win this Grandma will have her OWN seat and everyone will be HAPPY! Looks like a great carseat. Great safety features. Could definitely use this! Britax is a great brand and I’d love to win this car seat. We love our Britax infant seat and stroller and would love a Britax convertible car seat for our little man, as he’s getting bigger and will need one in the next few months! I love the peace of mind that you can have with the Safe Cell features. Thanks for the chance! Car seats are one of the least expensive things you’ll ever buy your baby but they are absolutely critical for your baby’s health and safety! Britax makes a great car seat. I love the ease of install! Britax seats are the best! Hate installing car seats, would love the click tight! Owning one of these would give me such peace of mind! That looks like a really comfortable, easy to use, car seat. The installation looks simple and the seat itself looks very comfortable. Im excited to give this a try! Really like this carseat. I need to keep one in my car for my grandson and I’ve been shopping. Then I saw this giveaway! This looks very easy to install. Would love this as my son is about to outgrow his old graco carseat. I would love it for my daughter! I’ve always heard good things about this brand. This carseat looks like it would be A LOT more comfortable for my l.o. Especially when he falls asleep. Our current carseat is not comfortable for his neck at all. I have actually never heard of this brand before but by reading about it, I would love to give it a try with my daughter. I love all my Britax carseats, and would love to win this one for our new little one. Would like to win the Britax car seat for my little princess. We will need it before too long. I have heard nothing but great things about these car seats and I would love to give one to my daughter. Britax has always been my go to! We love Britax! Have the Britax infant carrier and this convertible car seat would be perfect as our little one grows bigger! Awesome giveaway! Britax is such a safe (though pricey) brand of car seat. My seven month old is three pounds away from outgrowing her infant seat and I’m totally panicking. What a lovely thing it would be to win the Rolls Royce of car seats, I’d never have to worry about her safety in it. Britax is such a highly reputable brand! I’m so excited for this giveaway – thanks so much for hosting it. In the market for a car seat and this is my dream! Love the ease of installation and safety features! This carseat is already on my registry. I’d love to win it instead! This seat it amazing and a breeze to install! I love the super easy seatbelt install with Clicktight! We’ve LOVED our Britax car seats and stroller with our (now) toddler… When I saw the ClickTight feature come out, it immediately went on my wishlist and now with kiddo #2 due soon, this would be amazing to win! This would be amazing!! I have always wanted a Britax but they are a bit out of my price range, so it would be great to win it!! We have two of the older version britax, and these look even more amazing! I definitely need one for my baby! Car safety is extremely important. It becomes even more important when you are a survivor of a serious car accident. Now that I am a mother, car safety is something I do not take for granted. To be able to win a ClickTight Car seat would be amazing and a true honor. It would also put much of my anxiety to rest! Thank you for the opportunity! I love the Britax carseats I have. Would love to win this seat. It seems to be of great quality. We love Britax seats, and the ClickTight is an amazing feature. We’d love to have a clicktight convertible seat. We love our Britax car seats for our older children. This would be perfect for our new addition arriving in August! I would love to win this! I love Britax and my current seat is such a pain to tighten! I would love a safe seat for my little man! Nothing better than insuring your child’s safety and with ease! Britax new design seems amazing. I would love to win this. We just had our 4th in Feb and she needs a seat for when she outgrows her infant one. My youngest is about to transition to a convertible car seat, I would love to have one of the new models! I love the Britax seats I really like the click tight feature. They are confortable and easy to install I would love to win one for my little boy! We have a Britax Marathon Clicktight in one of our cars currently for our 13 months daughter and she loves her seat! She must go in her Chico bucket seat in daddy’s car and it’s just not as nice now that she is used to her bigger and more comfy seat. We would love to have another Britax for her. Thanks for offering a giveaway on this seat! Would love this! We need another car seat and would love to try clicktight! I would loveto try this out! We love our b safe and I’ve have my eye on this one for when our daughter needs to move from her infant seat! 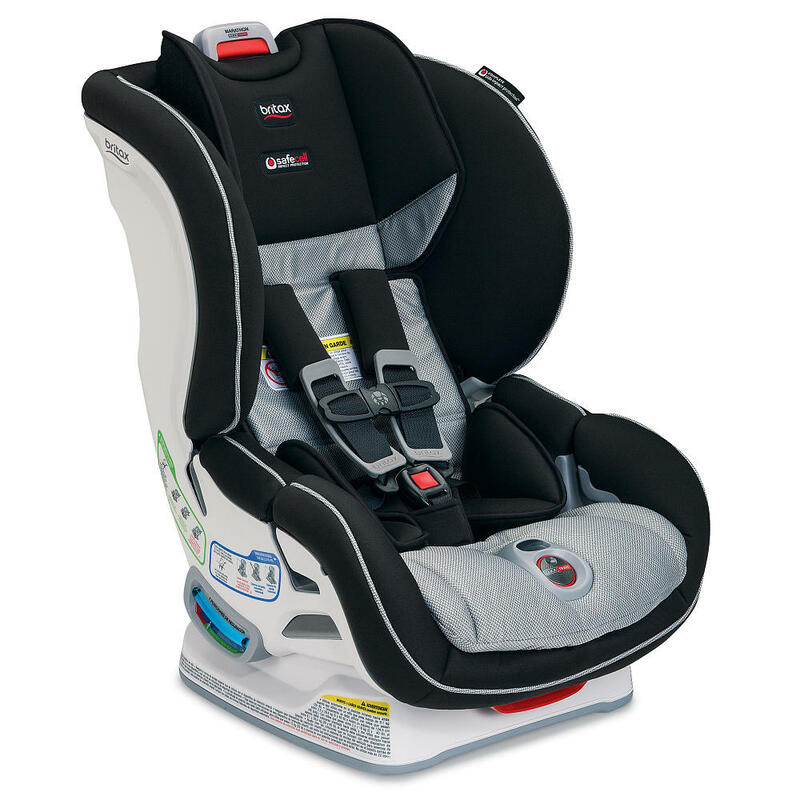 We love Britax car seats and would love the opportunity to try a Click-Tight model! I love the simplicity of the click tight. Makes mommas life much easier! I would love to win this! Britax makes such great products and the ease of installation is a highlight for me! that clicktight technology looks amazing!!! Great car seat! Much easier than my current one. Love to have one. Looks like great technology. I would love to have something like this for my son. Safety is so important and I know Britax is one of the leaders in safety. I have been researching convertible seats for my 6 month old and really want a brutal but the price is a little scary. It would be great to win. The click tight feature looks awesome! Britax is already way ahead of the curve with their previous models. I bought a less expensive car seat as an extra and it is so hard to get the locks on and off but my Britax Marathon is so easy and that is without the Click Tight. Looks like the newer model holds taller kids? My 3 year old got too tall for our Marathon and now my one year old is using it. That would be my only complaint but my one year is happy to use it now. Love Britax! All of our car seats are Britax! Need this for my 3rd Baby!!! Love Britax! Need to buy a new seat for my youngest who just turned two and can now sit forward facing. Would love the opportunity to win this car seat! I’ve heard great things about Britax and have had my eye on this one as we start to look around for the next car seat for our little man! this design is fantastic! Safety shouldn’t be difficult! My son would Love this seat!!! Love Britax, and I need a new car seat for my little guy. This would be perfect! After seeing how easy these car seats are to install I can’t speak highly enough of them. The safety and convenience are totally worth it! We have been a Britax family for years and loved our seats. We would love to try out the new click tight system. I have one of the first CT seats in the pioneer .. I would love one for the baby! So handy and easy to install! We have been a Britax family since day one! Love their products. We would love to have this britax seat. I love the easy installation it would be perfect for my little lady! I would love to win this for my soon to be nephew…coming in September!! I used Britax all the way for both of my kids. I feel Britax is the safest carseat out there! i so need one of these for my 1 year old! He just outgrew his infant seat! I love Britax products so much, they’re all top quality and I know this car seat is no different. My son would be so happy in this seat and my mind would always be at ease knowing he would be well protected from any real harm in the event of an accident. We are currently waiting for baby number two to arrive any day now, and our four year old little girl, Lou, would fit perfectly in this seat! We have loved everything Britax that we’ve purchased so far! The B-Agile/B-Ready system was perfect for our newborn. All of the accessories are just as high quality as their higher dollar pieces and their customer service is phenomenal! Love that they’re based here in South Carolina! Would love to win this for our baby boy due in July! I have always heard Britax are the best of the best. My husband raves about them to all new parents. We hope to get a Britax car seat for our newest addition to our family. I’ve heard such great things about Britax. My husband and I had a Britax car seat with our son ages ago (he’s now 9), and we’d love to have the same for our daughter who is due soon! Great giveaway! We are about to start trying for number 3 and while this seat would be great for either of my toddlers, it would also be a great addition for a new baby! I could use this my son is outgrowing his Britax infant seat. We love our britax infant seat and sure could use a convertible carseat for our son! I have been eyeing this for my son since before they came out. Love that it lasts so long RF! Britax car seats are THE BEST! They have the highest safety rating, I do believe!! We would love this for our new little guy!!! Love the safety features that britax has. I was always fascinated with britax. We would love this. I have a roundabout for my 2 year old! Britax is my favorite, I would LOVE to get this one for my 10 month old who is growing out of her carry carseat fast! I only want the best for my grandson! I would absolutely love to try this seat! I have 2 little boys and could definitely use it! Would love one of these for my hubbies car. This car seat and all of its safety features look amazing. Can a car seat really be that simple to install? I need to try it out! I would love to have one of these. We have baby #2 on the way in November!! i love britax I have a 10 month old Foster child that my husband and I are trying to adopt winning the car seat would be so fabulous. My son is almost out of his infant seat, loving the simplicity of the clicktight! Def our top choice! I love Britax. I always feel my children are safe in their “arms”. We’ve never tried britax. He have two I car seats and we are always struging to change car seat before we go out. Love the britax we have for our oldest, would love a click tight for our youngest. I would love this for my 13 month old. She’s still in her infant carrier. Baby boy needs a new car seat!!! This would be perfect! My baby is quickly outgrowing her infant seat… We could really use this! I love Britax products and would love to win this! currently have the britax b safe and love it. Needing to get a bigger size for my little one and would love this seat. I would love to have a britax! This would be great to have as a 2nd car seat for my daughter!! My son will be 3 in June, and since birth I have trusted Britax with his safety! I would love to win him a new car seat. We don’t settle for anything but Britax. My sister has 2 of these seats and loves them! I would love to have one for baby coming in October! This is an awesome giveaway! We love Britax! I loved our first Boulevard, so I can only imagine how much we would love this one for our second child! I have never used a Britax car seat but I have heard great things about them and love that they can rear face until 40 lbs and be used until 65lbs! I have large(r) kids and they outgrow 5-point harness systems fairly fast in some brands, but it looks like Britax has the right idea with the higher weight limits! Wow so many cool features!! my 3yo is almost at the weight limit for LATCH and the clicktight feature would make me feel so much more confident installing his seat with the seatbelt. Thanks for the chance! We would love to have another Britax product in our van! We have the Frontier UCS and we love it! It is so easy to install and know its safe! Thanks for this chance! We love Brirax! My 2 year old and 6 month old use britax car seats. I’m so excited about the new clicktight versions!!! Would love this cArseat. We really need a second one and cannot afford a new one. I would love to win this! I have done a lot of car seat research and britax tops my list! This is one of the greatest giveaways possible. Giving the power for someone’s child to be safe in their carseat! We have an old Britax car seat. This one looks so much easier to install and use! I really love Britax products — we have the travel system for our four month old son and it’s so great how the car seat just pops into the base in the car and then out into the stroller. Really easy to get him in and out of thankfully, since when he’s ready to vacate the car seat, he gets impatient very quickly! This is what I have my eye on, so it would be great to win one! I’d love to get one for my son who will be outgrowing his Britax Bsafe infant seat way too fast. It would be wonderful to have such a great (and super safe) seat for my child! Would love to win this seat! I just saw this carseat in person for the first time a few days ago, as my sister has one for her little one. I have to say, I wish they would’ve been around two years ago when I bought my Marathon! We love our Britax Boulevard, but we will soon need another great car seat for our new little one! Love my Britax B-Safe, and looking forward to getting a Britax convertible for my little girl! I love Britax brand. Their customer service is awesome also. we love Britax! This seat would be perfect for our third little man! Thanks for showing exactly how the ClickTight technology works, I hadn’t seen it before! I love these seats! The clicktight looks so easy. My daughter has this seat and I am a huge fan! I am currently expecting and really would love a second Britax ClickTight car seat! My little is about to grow out of her B Safe and we are wanting one of these. Love Britax! I love Britax carseats. Well worth every penny. Especially when it comes to my girls. My 6th baby is 8 months old and will need a convertible car seat soon! This would be perfect! I’d love to win this car seat for my daughter! She is in an infant seat now, but we’ll need a convertible soon! Thanks for the chance! ee love our marathon! I’m really curious if the clicktight is a lot easier! We love the safety and convenience of Britax. My son could really use another seat for grandma’s car. would love to win this seat for my 1 yr old boy. We have been in the market for a convertible. However our dang dish washer broke so we need to put om one toward that :(. Thank you for the chance to win!! I love britax car seats! As a car seat enthusiast with a new baby on the way I would love the chance to try out the technology in this seat. We love the clicktight technology at our home! We already own a frontier and would love this seat as well! We would love this for our little one who is getting ready to transition from infant seat to a bigger one! I love this and need it for my youngest! This carseat looks amazing. I love Britax products and would love to try this carseat! My nephew is having his first baby, and I have raved about Britax….everyone in the family has at lease one if not more! Would love to win this for our newest baby girl! I have heard great things Britax and could definitely use this for my newest little one! Just found out we are having twins! Would be a great “gift”!!!! love britax! This would be an amazing seat for my husband to use for our tot bc it makes it so simple! Britax is an amazing seat and super easy to use. We would love one for our new little lady! I love how easy this seat is to install and move to Grandma’s car when we need to! All 3 of my babies are in Britax carseats. I love the ease of install, making sure baby is safe and I trust the name and the safety that comes with it. We will soon be moving kids to bigger car seats and this would a fantastic car seat for our youngest to transition in to! This would be such a blessing. As a foster mom of two boys under 2, I need a quality car seat that will grow with them. Thanks for the great giveaway and a clear explanation of how it works! I love Britax carseats, we have 5 children and have used Britax with almost all of them! I would love a new car seat! Our daughter is growing so quickly and is almost ready for a new car seat at 6 months old! We are just about to make the switch to the convertible and everyone seems to love this one! I currently have a britax marathon. I will need another for my second son. I love your car seats. Highly rated, safe and easy to install. Thanks! I love the ease of use and how easy it is to buckle in the car. I would love the opportunity to win the we click tight and experience the ease of installing. I have a 2.5 yo and a 1month old. And putting in two car seats is rough. I have an older marathon which I love but I was drooling over the click tight at babies r us just this weekend. The ease of use seems so wonderful. I am having a baby due August 1st so this would be awesome. We love our britax click tight seat and would love another!! I’d love to win one for my son! I’ve heard so many wonderful things about Britax, and I love how easy it looks to install! I’d love to win this car seat for my 10 month old boy. He is currently in his Britax b-safe and we have loved it. We are about to transition to a convertible car seat so the timing couldn’t be more perfect!! Love Britax. Looks like a great carseat!! My son is just about ready to switch into a bigger carseat and I would loveee for him to get a britax but u can’t afford it myself. They are the best!!! Safety, comfort, user friendly -= perfection!! The new Britax ClickTights are such amazing car seats! My toddler would love one and I would love to turn him back to rear facing, this would allow that! this would be awesome as I move seats all the time! I love the ease of installation on these car seats. Our kids have to visit their birth parents often, so this would be a really handy feature. Looks nice! I would love! My baby is going to need one soon! I would love to have this seat! I have looked at them many times but this seat just doesn’t fit into our budget. 🙁 Would love to win it! I would love to win this to replace my daughters carseat. It takes for ever to install and so hard to get it tight. Would be awesome to win as we are quickly outgrowing our infant seat! Love britax clicktight! Such an easy install! I love love love Britax car seats. Only one I would trust with my grandchildren! Thanks for making safety you number one priority!!! My son’s Britax expired and he could use this so bad! I love your products! I would love to win this car seat! I have been researching and this by far comes out on top. Britax seats were the only ones on my list after tons of research! Our Britax seats are expiring soon! Huge britax fan. Have a new baby on the way and would love to have a new seat for her. I have an older version and would love a second seat for our other car! This is by far my favorite seat, and easier installment is just icing on the cake! I LOVE Britax. Their products are safe and reliable. As a mother, that is what is most important. I’m registering for Britax all the way! I just had my 3rd child (12 days new… Yay!!) But he is only 15 months younger than my daughter- anither car seat is in my future and this one looks amazing!! I LOVE Briatx products – they are SAFE and RELIABLE. As a mother, these are the most important things when it comes to my son and the car seat we chose for him. Love Britax. My 7 yr old still comfortable rides in the Frontier 85 using 5 point harness. My very chunky 9 mo old will need a new seat soon and this would be perfect! Crossing my fingers hard for this one! 🙂 Good luck everyone! I’ve heard so many great things about the clicktights. I’d love to win! I love our Britax infant car seat but our baby’s about to out grow it. Would love to win this convertible one! I know Britax are the best and safest! My little girl would love to have a new car seat. She currently in the Britax Chaperone. I’ve heard such great things about Britax car seats. Thanks for the chance to win one! This seat would be a blessing. Our daughter was gifted with a plethora of rear facing car seats but we do not have a front facing and she is growing fast. This one looks amazing. I LOVE Britax and this new seat looks amazing! Great seat and love that there’s an anti-rebound option now too! I would like to win this for my friend. She will love it! My brother is having a baby this summer, would love to win this for him. Would love to win this for my husband’s car! Love Britax! Would love to win this one for my baby girl. I love Britax! Ease of installation is so important. I trust the Britax brand and their products. This would be a great toddler car seat too! I’m a Britax junkie. I need this in my life for the 2nd car. Just thinking this morning that I’m going to have to move O up to a bigger car seat. Thank you. The click tight sounds amazing. I would love to not have to struggle with installing the car seat! This is a really nice car seat. I would love to win it to but in our 2nd vehicle. OMG- I LOVE the knob on the front!! They always have nice features but that is really awesome! My first two kids had Britax seats & recently outgrew them. My baby has a Britax infant seat & I will definitely be getting her a Britax convertible car seat when she is ready for one. Need a car seat. Would love to win this! Sounds and looks like a great seat and a must have for safety! when we transitioned from our britax infant carseat we went into another brand and I totally regret it! We hate our convertible seat that just doesnt seam to be stable or safely installed no matter what we try. Its almost time for our little man to move out of his Infant Carrier, and we are looking at Britax almost exclusively as we make our decision. I have the Britax Frontier for my older son and love it, would like this for my 1 yr old, thank you! Love that Britax is working to make carseat installation easier and therefore safer for our children! This would be an amazing seat to have for my 5 month old, as it will grow with her and I know she will be safe and happy for all our adventures. Thank you for the chance to win! We would so love to have this car seat! I would absolutely love to win this. Expecting my first in August and I know I want to go with Britax for my car seats and strollers!! Looks amazing. Would love to win one. Love that it lasts as long as it does. All car seats I’ve considered are convertible. Thanks for explaining what the click tight actually is, I’ve seen them online but didn’t really get what it was. I have a britax marathon for my 13 month old son and am planning on getting a britax for my next baby due in September. I would love to win this! My daughter is about to grow out of her old car seat! I love the britax seats. We had one years ago for our oldest, and it was the most durable and safe seat we have owned. would love to win this and be able to pass it on to someone in need! This looks like an amazing car seat! We are in the market for one and this is an awesome giveaway! Thank you! We love Britax, and are almost ready to move our baby to a convertible car seat and this would just be perfect! My son is about to outgrow his current seat so we’d love a new Britax Marathon! We love our advocate! Thank you for the chance to win another great seat! Would love this for our little girl! We have the Britax b safe right now and I’m definitely going to get a Britax for her next seat! i love the Britax brand and I recommend it all the time! My new baby would love this. We are getting ready to become a 2 car family again and will definitely need another carseat! This one looks amazing! My toddler is ready for this type of seat. I love the ease of installation and it looks as if your little bit is quite comfortable. My first son never could get comfortable in our seats. I would love to win one of these! We have baby #3 due in 3 weeks and I would love to win this for her! I have never used this seat before but would love the opportunity to try! I would love to win this to keep my little one safe! That installation looks so fast and easy. I’m so tired of wrestling carseats into the car and then worrying about if it’s tight enough. This carseat looks amazing! Would love to have a britax car seat. I’ve heard nothing but good things about them!!! Love Britax products! My little one is almost outgrown her Britax infant seat, would love to win her big girl seat for her! this looks like a great car seat, would love to win! This would make life so much easier. Woul love it for my daughter! Love Britax!!! Allready using seat belts to install, but I’d love to make it even easier. Love britax! Would love this seat for me husbands car. I currently have a Britax B-Safe and am beginning to look for a convertable carseat. I have heard great things about the Britax ClickTight technology and have enjoyed seeing it in stores. Would love to win this. Such an easy install! We have one Britax and one non-Britax. The Britax is 100x better than the other in terms of ease of use and comfort for my child. We ONLY buy Britax car seats and strollers. We’re super loyal like that. This seat would be perfect for my son! I would Love to win a britax click tight! I have a new baby who needs a convertible carseat to move up to soon and this would be perfect! We love britax! Would love this for a friend who is expecting after 4 years of trying! I also need a seat that can be transferred from car to car wig ease… This is the best seat on the market for this. I would love to win one!!! This seat looks fabulous! I’d be thrilled to give it a whirl with my little guy. We love Britax, ours is on the verge of expiring and we need a new one! This would be great! I’ve heard such good reviews on this car seat. And the ease of use is a plus! I’d like to have this for my little guy! This is a great car seat and would be so happy to have our son in it! Britax is my absolute favorite. This seat would be fantastic for my little one who just turned one!! we are just getting ready to buy a seat for our other vehicle. I love our Boulevard and would love one of these! Free would be even better!! I would love this car seat.!! It looks like it would make installing it way easier! We’ve been looking for a carseat for a while now. Thanks for the chance to win such an awesome one! I would love to have a car seat that is that easy to use! Have the older version for eldest child and love it. Would love to win a new one for the other child as he is getting bigger. ive had my eye on the click tight for awhile! We are considering purchasing this seat for my daughter in the next month or so–winning one would definitely be great for our budget. This post did a great job reinforcing all the points we like about the seat, and I appreciate the close up photos. I love this carseat. I have seen it everywhere and could definately use one! ! I babysit kids out if my home and have 2 if my own. I’m constantly moving castaways in and out if the car to accomadate the kids I have that day. This seat eotks be perfect and make it so much easier! Would love the opportunity to own one of these for my kiddos to use should we win! Love your website and reviews! I’d love to have this car seat for my child! This looks so much safer than others available. The car seat looks easy to put in my car! I wish this seat were available when my kiddo was smaller! I’m so in love I bought one for my bestie! I’d love to be able to give her a second for her husband’s truck! Have a Britax marathon for our 2 yo and infant seat for 3 week old. Love the brand; going to need a second convertible when newborn gets bigger! My daughter will be outgrowing her Britax infant seat soon, and I have been looking for the perfect convertible seat– winning this one would be wonderful! Hoping to benefit from the safety and comfort of Britax’s latest car seat! Would love for my youngest to keep him rear facing for a long time (it will rf most to the full 40lbs!) And for it’s rather easy install and compactness. Perfect timing, I’m in the process if transitioning my little girl to a bigger carseat. This would be awesome to win! Lots of babies in our family due soon, mine included. This would be cherished! 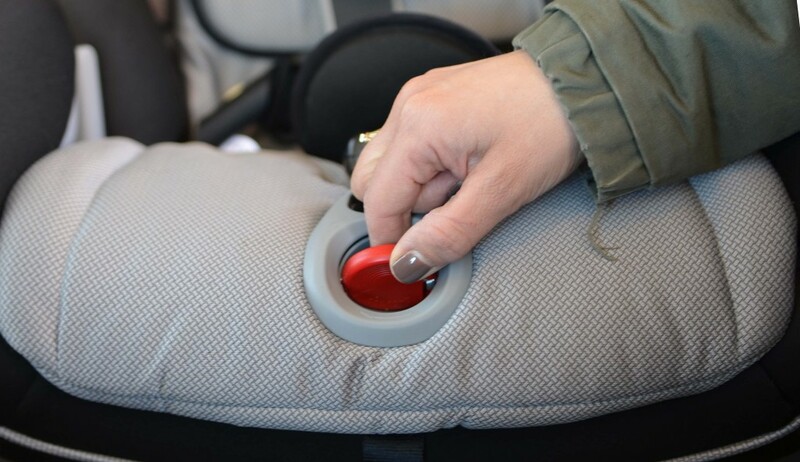 We’ve got #2 on the way and another Clicktight would be AWESOME – I bought one to replace a carseat that was damaged in a car accident (no babies harmed) and I’m SOOO glad i did – i can FINALLY install the seat without having to instill my yoga moves! I love this car seat, what a great design! Id love to win as we are getting a 2nd vehicle and will need additional seats! Would love to win this for my little guy! Was just looking at car seats for him because the one he is in now is hard as a rock and we do lots of riding in the car! I would really love to have this carseat. My husband and I are expecting our first child in August, and it would be great to have a safe, reliable carseat that would grow with her. I love how simple this looks to install without all the guessing if it is done right. Would be really nice for my birthday boy. Everyone I work with has nothing but great things to say and recommends Britax all the way! We would live to upgrade our daughter from her infant seat to a big girl seat. My mom is disabled and has had back surgeries, thus would be amazing to help her install the car seat if she needed to. Plus, always knowing it’s in perfectly and safely would be a huge weight off my shoulders. Britax has always been my fav! I’ve seen the click-tight all over the place, it looks really simple to install correctly. I’d love to try one. We love our britax car seats and will need another convertible one soon. I would love to win a Click Tight for my daughter. It would be so nice not to have to worry about the install. I love Britax products! We are actually looking for a forth carseat so that we can have two in both cars. I think the clicktight system would be very convenient for installation. i love how fast the install is! I love my B-Agile stroller. I want to try out this car seat so badly! Our little foggy is ready to be in a big boy seat. He seemed excited when I showed him a picture of this one!!! We would love to win! Thank you for the opportunity to win this awesome carseat! i would love to win this for my niece who is in need of a news seat. Would love to have this! We have to take out three car seats weekly because my husband picks up kids for youth group. It is a huge pain!! I love the new click tight convenience. Plus knowing it is installed correctly is awesome for piece of mind! I would love to win this car seat. We’ve been debating on switching our 11 month old to a convertible and this is the one we’re planning on getting. We love love love our Britax infant carrier!! My family LOVES Britax! It’s really the only brand of car seat we use… we’ve been blessed to get lots of them as gifts ’cause we’re strapped for cash… but our sons safety is so worth it! I would love to win this for my sweet babe! She’s nearly outgrown her infant seat, & this has some fantastic features. We love our britax marathon! Could definitely use a second one for our other car. I would love to win this for our 2nd kid we will be needing a new car seat soon and this one looks awesome! I love the Britax Pinnical for our son. I would love to have this one for my daughter. I love my B-Safe. I would really love to try a click-tight seat. I can never install seats tight with a seat belt. This car seat would help us in several ways. I love that it is so easy to install since we often have to switch the one car seat we have from car to car. Although, if we won a second car seat, we wouldn’t have to switch it so often. We love Britax and need to replace our marathon that just expired for the new baby! I have 3 Britax carseats, ready to replace 1 and love their products and would love to win the newest addition! We have two Britax seats for our son and I would love to try this one. Don’t think I could convince my husband to buy a third seat! I love Britax and trust their technology. I would love to win this for our new little one. Love all of Britax products don’t expect nothing but the best!! I would love to win one of these! We have twin boys on the way and I would love to have these seats for them! They are just out of the price range hubby says is acceptable. This carseat is amazing. So easy to install and safe. I have one for my daughter and I could use another one for my son who will be switching from infant car seat to convertible one. Love it. This would be such a blessing to get a new Britax for my son! I have laid hands upon thousands of car seats in many different vehicles. Britax is by far one of the best brands and the one I choose for my children. The ClickTight is only that much better. Hopefully I could have one of these, to promote the features to all that I assist in the future. This car seat looks so easy to install. I’d love to own one. Our current Britax Boulevard expires in July. This would make the perfect replacement! 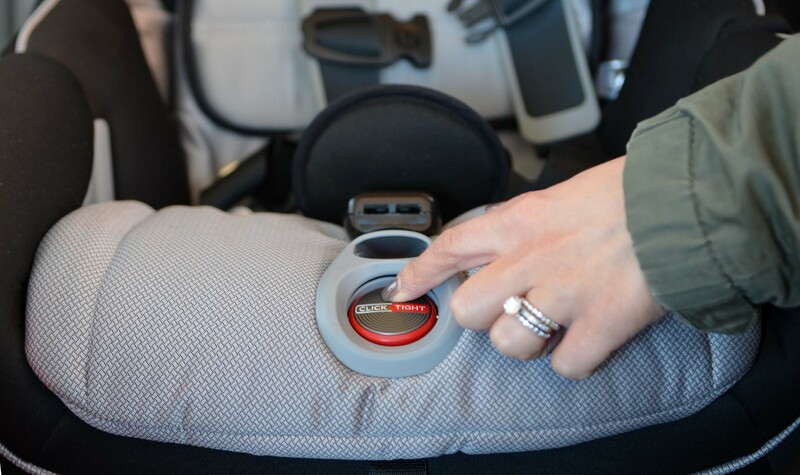 Britax clicktight is my total dream car seat to own. Would literally be a dream come true to win. Thank you. Would love to win this awesome seat!! I love the idea of the Britax Click Tight. I have a difficult time getting in and adjusting the car seat every single time I have to switch it from one car to the other. This would be perfect for my daughter and just the thought of having the chance to win a seat like this is exciting! This looks like a great car seat. I’d love to win it. i love Britax! Between my 2 now we have grown through 4 Britax seats and they have all been amazing! The new click tight feature is the greatest thing ever. We have it on my sons Pioneer and it has made our lives so much easier. We all love it. Now with another baby on the way this marathon would sure be a blessing! LOVE Britax!!! What an awesome giveaway, hope to win! i would love one of these amazing car seats. I want my baby safe! Would love the opportunity to try a Britax since I have heard such great things! Our one year old needs a new car seat! They truly are such great quality seats!! We own 2 Frontiers for our older boys and have a Marathon on our wish list for baby number 3 who is due in August. 🙂 Thanks so much for the chance to win! I love how easy these seats are to install. The easier the better! A correctly installed seat is a safe seat! I would love to win this for my son to ride in! I love Britax!! My son has been using a Britax seat for 3 years now and it’s wonderful. We are trying for baby #3 now and would love to have this seat!!! Thank you so much for this amazing opportunity to win this carseat!! This would be great for our family! We are just about ready to buy ou r first convertible car seat and love the features of this one! My daughter could really use this seat. We could use a replacement for the current one that she’s outgrowing. This will be perfect for our road trip! Awesome giveaway! In my opinion, Britax has the best car seats so I’m crossing my fingers! we already have the Pinnacle ClickTight and love it. We would love to get this seat for our 6 month old son. Good job Britax. We only have Britax car seats. Looks like a fantastic product! Would love to win and check it out! We love britax! Would love one for my second son! I have the britax infant car seat and I love it!! It is so safe and comfortable for my baby. But she’s quickly growing out of it. I’d love to continue loving this brand by having a car seat that’ll take her into her toddlerhood. We have three name brand carseats and by far, the Britax is our favorite. With a third baby on the way, I’d love to win this for him. would love to try. I have my daughter that will be needing a convertiable car seat soon! Why can’t all seats be this easy to install? We need one for our youngest who is outgrowing his infant seat. I would love to win this seat. I am a CPST and have yet to get to work with it and I really want to. What a wonderful gift this would make for my goddaughter! Love the ClickTight button idea! I love Britax! Amazing seats! we have one of the older style britax we got for our oldest and now our middle child uses it. Will need another convertible seat later this year when our youngest outgrows her infant seat. I like the idea of the easier to install system these have! This carseat looks amazing! I would love to have it to use with my grandchildren. I’ve never seen this before.this would be perfect for our new grandbaby.thanks so much for sharing. Love Britax products! Could DEFINITELY use this seat! Thanks for the chance to win it! I have only heard awesome things about this car seat, and am really wanting one for the next little one! We love our Britax car seats, especially the click-tight feature on my oldest child’s Frontier 90. Would Love to win this for our littlest one!!! This would be a perfect car seat for my son, and he would love that it had cup holders. It looks like he would be very comfortable as well. I would love this car sear for my nugget. My oldest has a new Britax combination seat with Clicktight. I’d love to have a convertible seat with Clicktight for his little brother! I love Britax car seats, they are safe and reliable. The click tight system seems extremely easy to install. Would love to win this for my son. He has outgrown his infant seat and we having another baby soon so we need a convertible seat. thanks! Oh, how I would love to win this car seat!! I sure wish they had made them like this when are children were young! However, our grandchildren could sure enjoy it! We have six, and could really use an extra car seat so we didn’t have to transfer all the time! Thank you for the opportunity and chance to win! We have a Britax Boulevard and I love it so much but money is so tight right now that putting out the money for a brand new Britax is the choice between groceries and safety. I don’t want to use our old flimsy plastic car seat we had from our first for our new addition in August, even if the dates are still good. Once you use something you know is safe, it’s so hard to go backward. Thank you so much for the opportunity to win! Having a car seat that grows with your child is an amazing idea. It saves so much money! I love that it has the comfort of memory foam and a cup holder. Love this new technology. We are currently looking for a car seat upgrade for our baby girl. 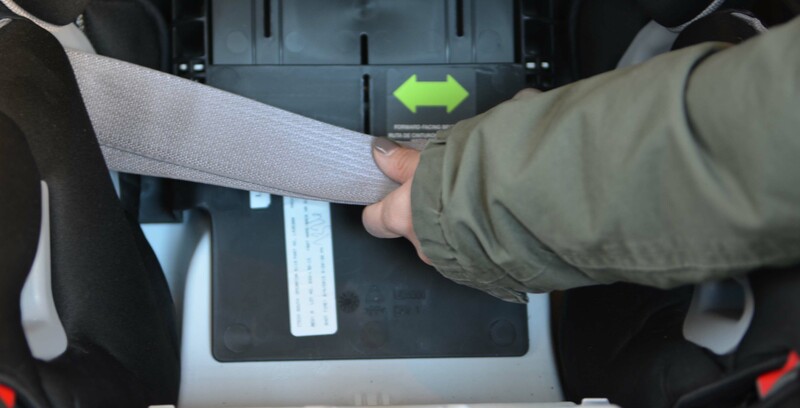 The new Britax ClickTight looks so easy, even I couldn’t mess it up! We have the click tight Frontier for our 3 year old. It’s awesome, so easy to install. This seat would be great for our soon to be 1 year old. I am having a baby in June so this would be great to win! My 6 month old has just about outgrown his infant carseat! Would be honored to win!!! This would be so great! It looks to simply to use! Wow that looks so easy to install. I don’t have a car, so every time we go anywhere I have to reinstall the car seat. This seat would make that so much easier. Would love this seat for my little guy. Both the big boys have britax boosters and we love them! Oh this looks like just what we need with our growing family. I have two car seats that expire at the end of the year and would love to add this one! I would love to use the Britax Car seat for style and safety! i love britax. they are really well made and unlike some of the cheaper seats i have seen the straps dont get all twisted. Looks like a great seat, I’ve always heard good things about Britax products! Would love to win this! It looks so nice! With baby #2 due in just days, we are already looking for a convertible carseat for when she outgrows her infant carrier seat. Britax is our first choice – always. It would be SO SO nice to win this for her! This is so much better than the cheap Cosco seats we use now! I’ve had my eye on this car seat for a while. I would love to win this for my toddler. I’ve heard so many good things about Britax! We could definitely use a car seat like this. I think the new clicktight feature is the best thing since sliced bread as it relates to carseats. Since Britax is already keen on safety they had to come up with another way to stay on top of their game. Britax really is such a great brand! The click tight sounds amazing, it would be awesome to not have to struggle with installing the car seat. this would be perfect for my daugher! we need to get her out of the bucket seat soon and carseats are so expensive! ive read so many great reviews on britax! The click tight looks like such an easy install! This looks so simple. I wonder why it took so long for someone to make one like this. Would love this for #2! Thank you for the generous giveaway! I would love to win this for my future niece! I’m expecting our first. I’m agonizing about what car seat, stroller, high chair, etc to buy because of course I want the safest and best possible product for my new baby. I’m so worried I’m going to make the wrong choices. How do I know what will be best!? I would love to have this car seat. It looks wonderful. Great giveaway. Good luck everyone. I was looking at this car seat in store today and it is amazing and so lightweight, thanks so much for the chance to win. Awesome giveaway! Truly a blessing to win. Thank you so much for the lovely chance! This looks and sound so comfortable! I’ll be honest, I wish they also made them in adult sizes!! A great car seat is a must for any family. I would love to win this carseat for my daughter!! She is having a baby boy in a month and he could use a good car seat!! Amazing car seat! Glad to see them expanding, reconfiguring their line. I love my clicktight and would love another for my niece.